Lawsons is one of the largest timber merchants in the South East, with branches throughout London, Essex, Sussex, Hertfordshire, Surrey, Berkshire and Bedfordshire. Our extensive knowledge and excellent prices make us a favourite for both trade and retail customers in the area. All of our branches hold extensive stocks for the most popular and essential materials – if you need structural timber, plywood, MDF, chipboard, OSB or hardboard you can just come to your local store and pick up what you need. Alternatively, you can order online or over the phone for speedy delivery. If you call early enough, we may be able to arrange next day delivery to your site. 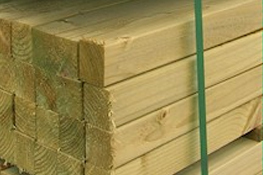 Timber Carcassing or Structural Timber as it is often refereed to as, is stocked in great depth at all Lawsons branches in both treated or plain.Being machined to specific sizes it is ideal for use in applications such as joists, stud partitioning, roof trusses and battens. 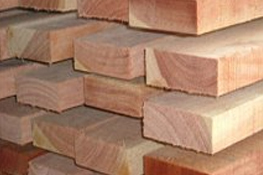 All our timber comes from responsible, sustainable sources, is certified, comes with a chain of custody and is graded to C16 or C24 so suitable for all applications. 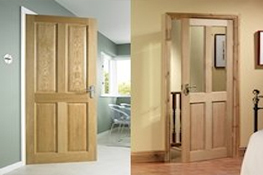 Lawsons are proud of our substantial range of stock, which exists to suit a variety of building and DIY projects. This stock includes an array of outstanding quality MDF (Medium Density Fibreboard) Moisture Resistant Mouldings in a twice primed de-nibbed finish. This allows you to give a room that professional finish, with minimal effort. All that’s required is the finishing coats! Planed All Round Timber (PAR) is planed on both edges and sides therefore offering a smooth finish which makes it extremely versatile as lends itself to a multitude of uses, such as internal joinery and furniture construction. It will require less finishing to sawn timber and generally will only require sanding. Lawsons stock a range of Engineered Flooring along with other timber and board material equally suitable for creating your desired effect. Engineered Flooring is a finished product and available in handy packs, we also stock a range of trims and tools to make the job easier and give that professional look. 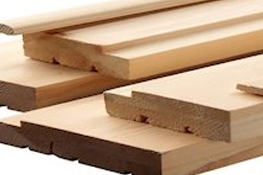 Our PAR timber is available in board sizes and can be easily cut to fit in with your existing scheme. Please contact us with your requirements. 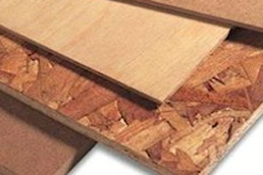 Lawsons stock a comprehensive range of sheet material which includes Plywood, MDF, Chipboard, OSB, Hardboard and Twin Walled Protection Sheeting all suitable for the trade and DIY enthusiast. Whether you are boarding or protecting a floor, making a shelf, constructing furniture or using in general joinery projects we are certain we will have all that you need. At Lawsons we offer a vast range of softwood architrave and skirting, in both traditional and contemporary designs, to our customers in and around London. Our considerable stock promises to meet the needs of any type of project; there are styles to suit everyone. Most timber sheet materials are incredibly versatile and are used throughout building projects – if you need advice about what type of material to use or how to make the most of your budget, please let us know. Our knowledgeable team are always happy to answer questions and make sure that you have exactly what you need to get the job done. Most of our branches offer timber that’s been machined to specific sizes or cut to your requirements, including cross cutting to your preferred length or thickness - please contact your local branch before first to check cutting service availability. Our carcassing timber is available in any size between 2.4m and 7.8m – if you need an unusual size for your project please let us know in advance so that we can prepare the materials for you. Sheet materials can be cut to order too – all of our timber sheet materials are stocked in a variety of thicknesses to provide the strength and durability you need without adding unnecessary weight when a thinner material will do. Take a look through our products below – if you can’t find exactly what you need please call the local branch and we will let you know if your preferred material is in stock or we can order it in.